A real life "Best in Show" follows three competitors on their quest to breed the perfect chicken. Chicken may be just food for most people, but raising the perfect chicken is an all-consuming passion for some. Chicken People takes a charming and fascinating look at the colorful and hugely competitive world of champion show chicken breeders. 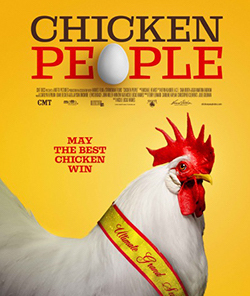 The film follows the struggles and triumphs of both humans and their chickens on the road to compete at the Ohio National Poultry Show, considered the Westminster of Chickens.